Moroccan Spiced Tempeh Wraps are savory, spicy and easy meal. 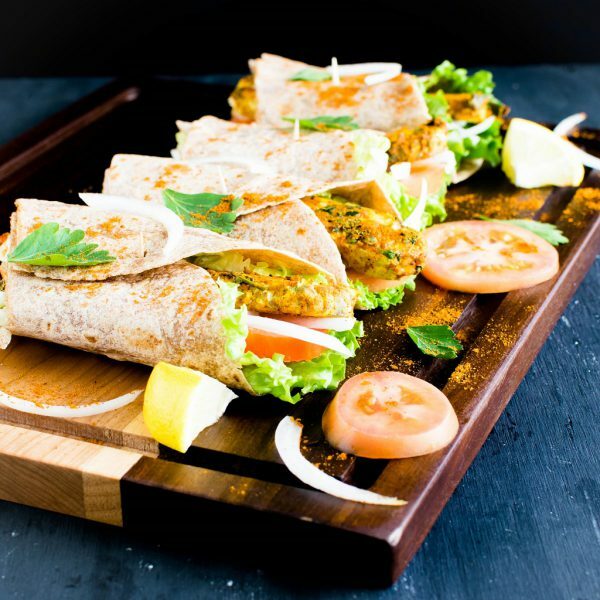 These vegan wraps are wholesome, hearty and filling with high content of protein + fiber. It’s great for lazy weeknight dinners. The leftovers satisfy perfectly for lunch the next day. I am basically fond of wraps. So it’s the first thing that I see in menus anytime I plan to eat out. I love the soft chewy tortilla with crunch vegetables along with some protein. And then of course mounts of flavorful sauces. I like spicy and salty food in combination with some tantalizing spices. I like a variety of taste in my plate and I am always excited to try new food as well. Lately, I have been trying few Middle Eastern flavors and I simply love them. I got a jar of Moroccan spice seasoning which I have been itching to try it for quite some time. Even though I used it couple of times in my experiments I was not satisfied with the outcomes. However, finally I got the trick and was able to somewhat match the flavors in my marination. It took me a while to start liking tempeh. But I think I am a pro now. Actually, I learnt a great trick to smoothen its taste. So every time I start with a tempeh recipe I first boil it nicely. That way the raw and fermented taste neutralizes. I love these Moroccan Tempeh Spiced Wraps because….. If you are looking to reduce your carb intake you may simply leave out the tortilla and toss it in your favorite salad. Also, don’t forget to add lettuce because lettuce adds to the overall flavor of the wrap or salad whatever form you plan to enjoy it. I am sure you will love this Moroccan Spiced Tempeh Wraps are much as I do. If you get a chance to make these do leave your feedback. I love reading your version of description about my recipes. very nice & attractive recipe. You have shown images in a very systematic way. Thank you Pranita. Hope you enjoy them. I think I’m officially a sucker for every recipe you post! MMMMMMM! Thank Jamie. That is very sweet of you. Just pinned it! I love tempeh, and these wraps look so delicious, healthy, and easy to make! Love it! Let me know how it turned out for you Annie. 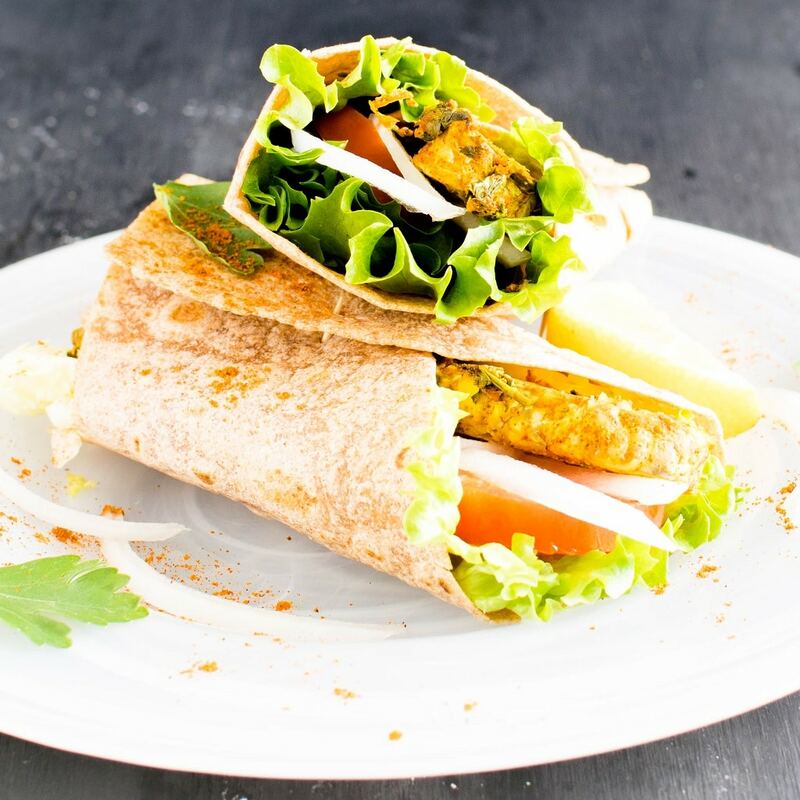 Ahhh…these low-calorie Moroccan wraps look so darn tasty! 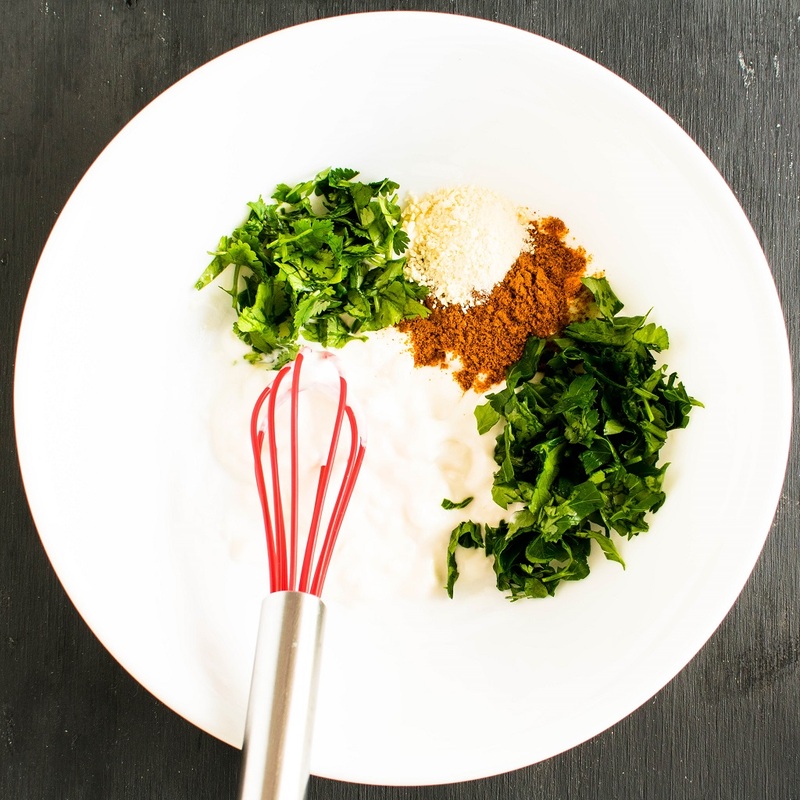 I love all of the beautiful unique recipes you share here on your blog. Thank you Denay for appreciating my work. 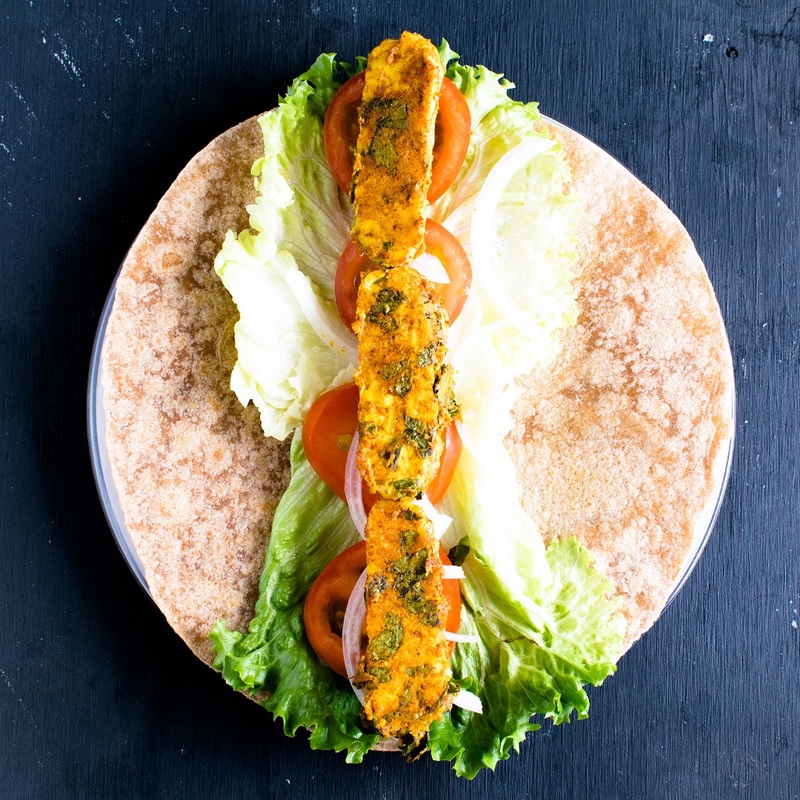 My mouth is watering these Moroccan Spiced Tempeh Wraps look incredible! 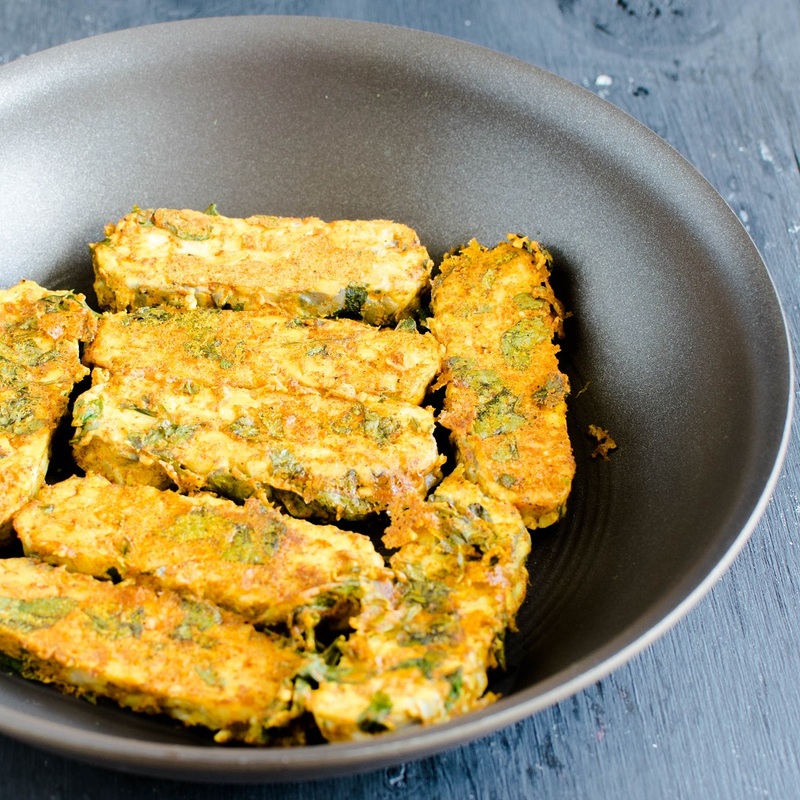 I LOVE tempeh and I LOVE Moroccan spices, definitely need to make this recipe asap!